We can provide you with Aplex pump repair services in Orlando, FL to ensure that your pump problem is treated correctly and as quickly as possible. Wastewater treatment systems use a variety of different pumps that all work together to efficiently treat and transport wastewater. When one of these pumps isn’t working, the results can be disastrous. At Pat’s Pump & Blower in Orlando, Florida, we can provide you with Aplex pump repair services to ensure that your pump problem is treated correctly and as quickly as possible. In a wastewater treatment system, it may be difficult to pinpoint the exact pump that is failing to function correctly. At Pat’s Pump & Blower, we can accurately identify this pump and correct the problem, so your operations do not become compromised. We are able to do this because each of our Aplex pump repair technicians is highly skilled and knowledgeable regarding the way pumps work together in a wastewater treatment system. 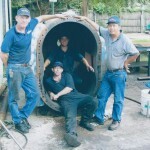 There’s a reason why we’re known as the pump and blower “problem solving specialists”! If you haven’t worked with us in the past for your Aplex pump repair needs, we encourage you to turn to us for pump repair services because we believe we are the best ones for the job. With over two decades of experience in the pump repair industry, 24-hour emergency services, and free onsite inspections, you can’t go wrong working with us. We look forward to forming a relationship with you and becoming the place you call for all of your pump repair needs and information. To find out more about what our Aplex pump repair services entail, get in touch with us at Pat’s Pump & Blower.